Justify with Mike Smith atop wins the 2018 Preakness Stakes horse race at Pimlico. The suit, filed by the mayor and three Park Heights residents — Tony Bridges, Jimmy Mitchell, and Pamela Curtis — asks Baltimore City the Circuit Court to declare that no disaster or emergency exists. Stronach has cashed in most of its state aid on Laurel Park in recent years. The suit argues that through "systemic divestment of Pimlico," Stronach "could indeed manufacture an 'emergency or disaster' to justify transfer of the Preakness to Laurel, as undermaintained infrastructure begins to fail and crowds attending Pimlico races and the horses racing there are endangered." A represenative for Stronach called the lawsuit's actions "premature and unfounded." The lawsuit asks the court to condemn both Pimlico and the Preakness Stakes, so that the city may take ownership. If that's granted, the properties "will be used to continue their historic role in the cultural traditions of Baltimore City, to foster employment and economic development in Baltimore, and in particular in the Park Heights Urban Renewal jurisdiction, as well as to protect the health and safety of the people attending the Preakness and other Pimlico events, as well as the employees and horses working there," the lawsuit says. The plaintiffs also note that funding from Stronach-backed pending General Assembly legislation, which would send bonds from up to 80% of state video lottery terminal funds to racetrack improvements, could be used for capital improvements at Laurel Race Course and Bowie, but not Pimlico. In their lawsuit, Mayor Pugh and her fellow plaintiffs are seeking a declaration from the court that may not issue Maryland Economic Development Corporation bonds for the purpose of disinvesting from the Pimlico and Park Heights by moving the Preakness and its training facilities to Laurel and Bowie. The lawsuit more or less forces the General Assembly into a standstill as far as legislation is concerned, Maryland Senate President Mike Miller told reporters on Wednesday. "It brings matters to a head," Miller said, noting he hadn’t seen the lawsuit. "We don't like to pass legislation while litigation is pending… We need to see how the lawsuit unfolds." "You cannot let somebody intentionally, turn a historic racetrack… into a wreck. [Stronach] can't dissipate on our watch, and then say, 'it's dissipated, so therefore we have to move,' " Miller added. Sen. Bill Ferguson proposed an amendment on Saturday that would offer Pimlico "transparent and genuine protections" by requiring Stronach to submit a "publicly approved" development plan for the Pimlico site before the state issues any bonds for Laurel. 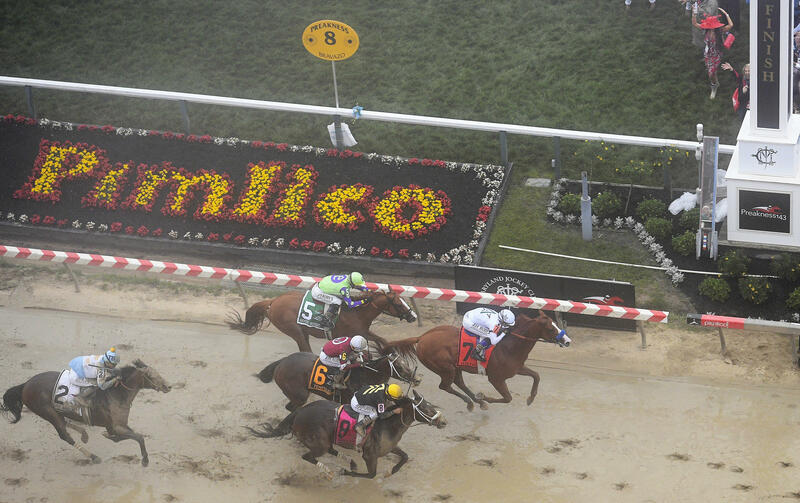 Overhauling Pimlico would cost an estimated $424 million dollars. "We remain willing and hopeful to continue discussions with the defendants and all stakeholders to reach an agreeable resolution of our claims," Baltimore City Solicitor Andre Davis told WYPR in an emailed comment. "There is no Triple Crown without the Preakness Stakes and the Preakness Stakes belong in Baltimore City at Pimlico. And that is true by virtue if its long history and tradition as well as by state law." The 2019 Preakness Stakes is scheduled for May 18th. The group has said it will remain at Pimlico until 2020. It was probably difficult to see on television Saturday, what with all that fog and mist that enveloped Pimlico, but a few seconds after Justify won the Preakness, another horse crossed the finish line. This horse, however, is far older than the field of three year-olds in the race, but know this: If Justify has this horse’s stamina, he’ll win the Belmont and thus the Triple Crown going away in less than three weeks. In a nod to the group, America, this horse has no name, per se, but rather a theme, namely that Pimlico Race Course is in trouble.